A Way to Learn. A Mark to Make. A World to Change. "These three sentences explain what IESE is about. They are three fundamental IESE attributes. The opportunity to learn with colleagues from all over the world and faculty who challenge your views. An aspiration to have a positive impact. The conviction that good leadership and excellent management are powerful engines to improve the world." Since 1958, IESE Business School has been committed to developing exceptional leaders who aspire to have a deep, positive and lasting impact on people, firms and society. IESE’s humanistic approach puts you at the center of the learning experience with a focus on your personal and professional development. At IESE, you will hone your strategic leadership competencies within a global framework. Our top-ranked programs and world-class international faculty will help you craft strategies for sustainable growth and profitability, and acquire the vision to drive meaningful change across your organization. On completing your IESE program, you will join a thriving alumni community of more than 45,000 executives and entrepreneurs who work in more than 100 countries. 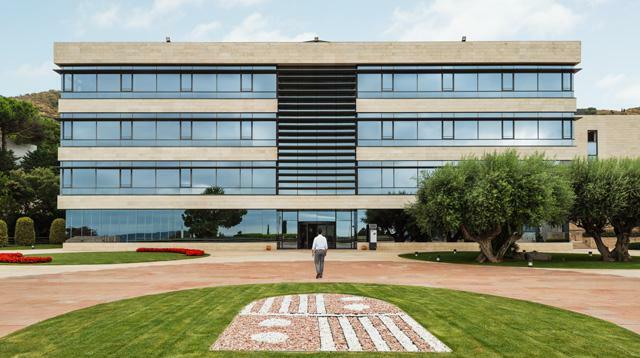 IESE has developed state of the art campuses in Barcelona, Madrid, New York, Munich and Sao Paulo. Additionally we deliver programs across an extensive global network of 16 sister schools covering Latin America, Africa and East & South East Asia. The IESE Global Executive MBA program is for managers and executives who are at turning point in their career, facing a new level of professional and leadership challenges as they seek to help their company to grow in an increasingly complex and uncertain world. To succeed, it’s vital to strengthen knowledge of new markets and broaden skills as a leader. At this career stage, professionals want to find a program that recognizes and addresses these specific needs and goals. Emphasis on ethical dimensions of decision making, indispensable for personal growth and corporate sustainability.